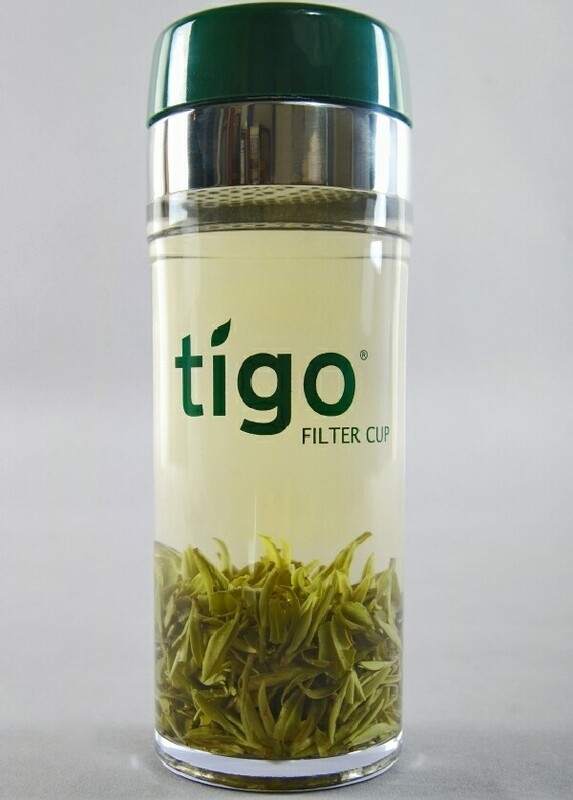 The Tigo Filter Cup is made for brewing multiple infusions of loose-leaf tea — such as our green tea — while on the go. Read an extensive review of the Tigo cup here. The Tigo Filter Cup—brew multiple infusions of loose-leaf tea anywhere there's hot water.